Saturday Morning, June 15th, 2019 Steve Adams will be teaching a Utah concealed carry course, open to the public from 8am to 12pm. The class will be held in Lehi, UT. The class usually runs 3 1/2 hours to 4 hours. This course meets the training requirements of both the State of Utah as well as the State of Arizona for a concealed weapons permit. It includes basic firearms safety, basic pistol instruction, and the laws of the State of Utah. This course does not include live fire or range activities. The class generally lasts 3 1/2 to 4 hours depending on the amount of student discussion and questions. In order to register you need to click on the “Add to Cart” button above. You can also register over the phone by calling 801-528-4649. Prepayment is required to guarantee your seat in the CCW class. The only thing you will be required to bring is government-issued photo ID. The exact address of the class is emailed to students who pre-register. After registering the class information including address will appear on the screen and it will be emailed to you along with your receipt. We will also send you a follow-up class reminder email the day of your course. Please note that our course includes Fingerprinting and Photos… EVERYTHING needed to apply for the permit. The class does not include the state application fee. 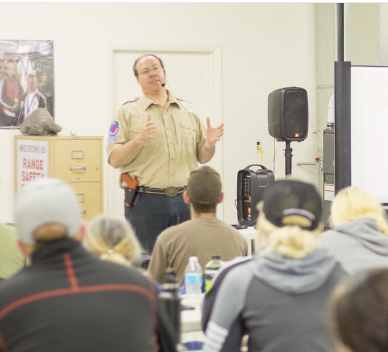 All of our instructors are certified by both the NRA and The State of Utah. We teach a state-approved curriculum. The only thing you need to bring to the class is notepaper with a writing utensil and your driver’s license. If this date doesn’t work for you, or if you have a large group who would like to take the class try requesting a private class in your own home on the date of your choice. Follow this link to fill out the request form. 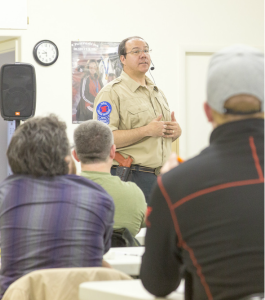 Steve has over 20 years in education experience both in Academia and in Firearm Training. As an NRA Training Counselor, he brings complicated ideas down to concise and simple concepts in order to ensure comprehension and a positive experience. We require pre-registration for our classes. Please click the “Add to the Cart” button above to make your payment or call us to register over the phone. After your registration is complete you will receive an email with your receipt and the exact address and other class information. We do not publish the exact address online because we do not allow walk-ins. Pre-registration is required. What Does the Concealed Carry Application Process Entail? 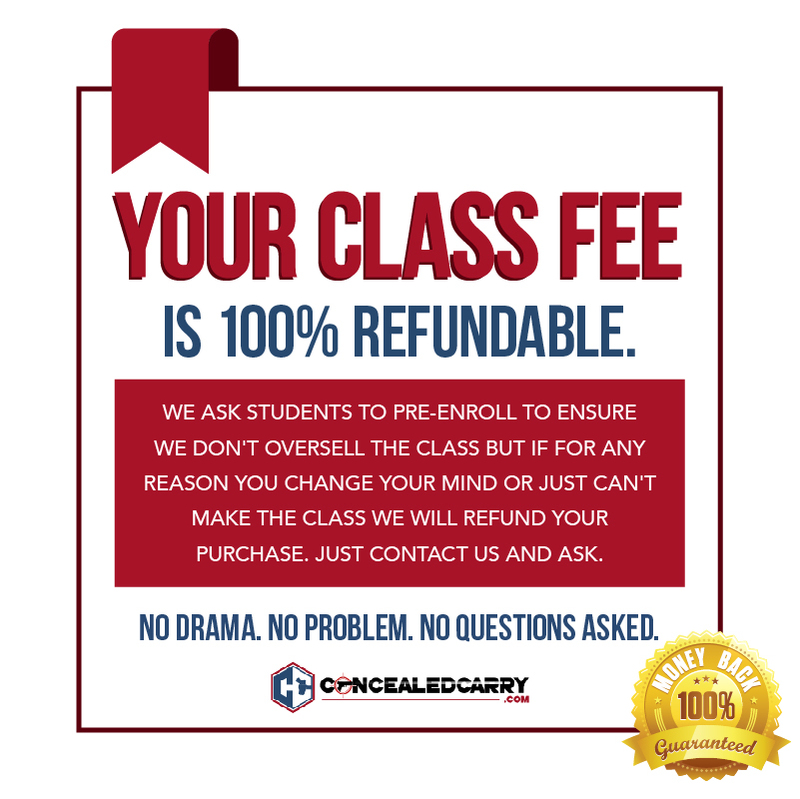 In order to apply for the Utah Concealed Carry Permit you first need to take a certified class from a state certified instructor. The cost of our CCW course is $50 and this fee includes fingerprints, photos, and all other required paperwork and instruction. After taking the class you will still need to turn your paperwork into the state and pay the Utah state application fee. The fee is different for residents and non-residents. Check our Frequently Asked Questions for details. What Do Steve’s Students Say About His Class? Great class learned a lot about thee CCW laws. And what states the Utah CCW is accepted. It was an awesome class and I learned a lot, but it was also great to review the things I did know, the instructor made the class fun and interesting, this is the only class I would recommend getting a concealed permit from!